I thought maybe it would be a good idea to start a multi-part series on Today I Learned (TIL) about Microsoft Azure. As part of my new job I am currently learning as much about Azure as possible. As I learn things, I will blog to share what I am learning. It will cover beginner level things initially and gradually progress to more advanced topics. Today’s topic is simply…. What the heck is Azure, how do I get to it, and what is the difference between IaaS, PaaS, and SaaS? How do I get started in Azure Portal? MS has a great walk through you can do to get you started. There is a free 30-day trial you can utilize to play around with along with $200 in Azure credits. I highly recommend getting an account and clicking through everything just to get the feel of all the offerings it has. You may have heard or seen the acronyms IaaS, PaaS and SaaS. Well what are they? Let’s start with their definitions and then how it pertains to SQL Server. Infrastructure as a Service or IaaS – Microsoft provides infrastructure capabilities such as an operating system, storage and network connectivity in a cloud offering. Basically, it’s the same as you would have on Premises, Virtual Machines and all its requirements to run your applications. 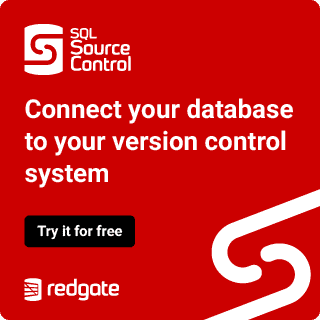 You are able to install software such as SQL Server (aka SQL Server in IaaS) and configure as needed. They host your applications and workloads just as you normally have used, only difference is that it is in the cloud (their data centers). This is very similar to the concept of using a co-location facility (CoLo) data center to store your servers, only with a lot more automation and features. One of the biggest benefits being that you do not have to maintain the underlying hardware or data center. It’s like asking a Network\Storage administrator to setup a virtual machine for you and you can decide on all the requirements you want. Such as I need 5 drives with X amount of storage on certain types of disks, and this many CPUS. Platform as a Service or PaaS – This is the next level they offer in which you do not have control over the infrastructure and don’t install the software. That is all chosen (standardized) for you based on your “tier” requirements and the platform you need, such as SQL Server (aka Azure SQL Database) or MySQL/Postgres. I will cover more on these services in a follow up post. . I think of PaaS as when you ask a Network\Storage administrator to give you a box to install SQL on and they give you a Templated VM with all it parts configured including SQL Server already installed. MS offers many different PaaS services – including Cloud Services, Websites, Storage and Azure SQL Database. Software as a Service or SaaS – This simply put are things like Office 365. It’s applications that are consumed in the cloud, no hardware or software is maintained by the company. You just pay for the service and log in to the software essentially. So, in Part 1, we’ve covered the basics of what IaaS, PaaS and SaaS means and how they can be leveraged. Next I will cover subscriptions and roles. As I learn things I will continue to drop little tidbits like this, look for them over the next few weeks.